Woodbridge is still on a high after triumphing at the Great British High Street Awards following a campaign by Choose Woodbridge. One of the reasons it received its highly commended badge of honour was for its range of independent shops. Among these is the Sandwich Shop on the Thoroughfare run by Tim Fincham who organised this year’s Christmas fair. Tim was flat out all day during this highly-successful event catering for the thousands of visitors, many of which asked about his plans to open a delivery branch of the store. In very exciting news, Tim has now launched this side of the business and you can request more information by calling Tim on 01394 384941. 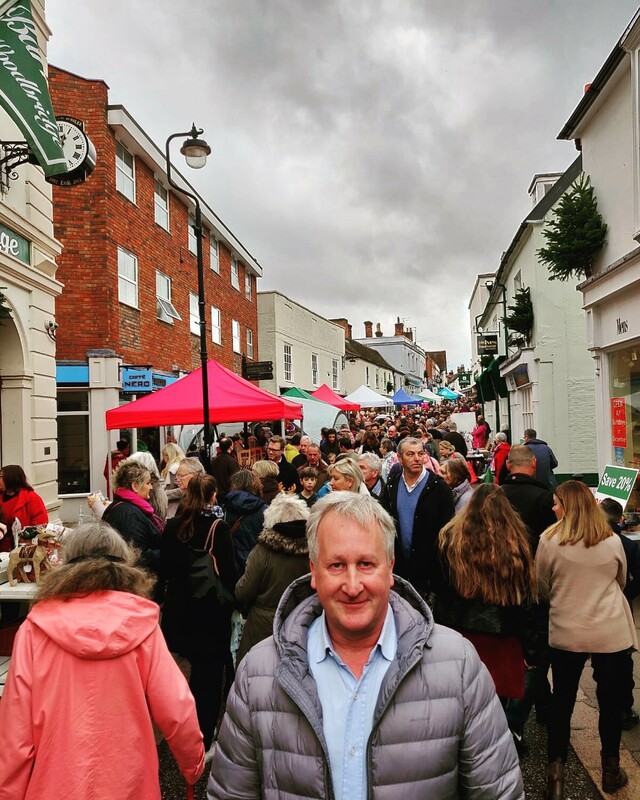 Other highlights in Woodbridge over the festive period included the Christmas Lights switch on, funded by the Market Hill & Church Street businesses, and the open air carol service on the Market Hill, organised by the Woodbridge Rotary Club. This involved a congregation around the tree that the rotary club generously provide to Woodbridge every year. In addition, December witnessed the 18th running of the Woodbridge Christmas Window competition, which has been expertly run (and sponsored) since its inception by Scott Matheson-Barr of G&K Estates, formerly Gobbitt & Kirby. 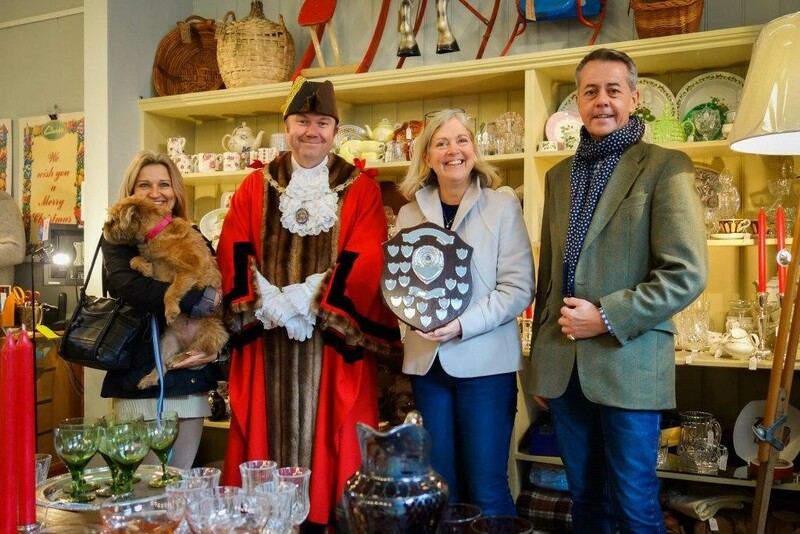 This year the competition adopted a traditional Christmas theme and the overall winner was Vintage 49 on the Thoroughfare. The magic of Christmas in Woodbridge was made possible thanks to the small team of volunteers who, at short notice, managed to arrange the supply and installation of over 150 Christmas trees which provided a cheerful welcome positioned above shop fronts and front doors throughout the town. These volunteers include Scott Matheson-Barr (G&K Estates), Mark Willis (Webb Bros), Tim Fincham (Sandwich Shop), Gavin Goldsmith (Woodbridge Removals) and Chris Mapey (The Angel). It was wonderful that they facilitated the continuation of this tradition, especially in memory of Mark’s late father David Willis, who was one of the driving forces in starting this ritual more than 20 years ago. The new year was welcomed into Woodbridge with plans to continue community events and celebrate the achievements of our town. There are lots of exciting things in the pipeline. This begins with ongoing work on the excellent Choose Woodbridge Town Guide. If you would like to advertise in it please contact James Lightfoot, chairman, by emailing james@choosewoodbridge.co.uk. Eight thousand copies of the guide will be distributed in Woodbridge and to 16 suitable outlets beyond Woodbridge (Tourist Information Centres and London Hotels). Advertising in the guide also gives you the right to a place on the Promotions Board at the new Visitor Centre in the Museum by the Waterfront – although this is subject to booking your slot by February 1st.